Interstate NationaLease is a NationaLease GreenShop-certified workplace. Interstate NationaLease is a NationaLease GreenShop-certified workplace, dedicated to environmental safety and practices. Customers can be pleased to note that, in order to achieve this designation, our facility has achieved superior shop safety, shop waste management, and employee/community safety standards, all in compliance with EPA and OSHA (U.S.) and WHMIS (Canada) regulations. 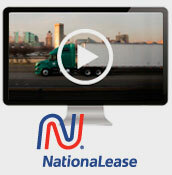 Interstate Nationalease is a 50 year old regional Full Service Truck Rental and Leasing company operating 16 locations throughout Georgia and Alabama. © 2019 Interstate NationaLease, Inc. | Truck Rentals | All Rights Reserved.